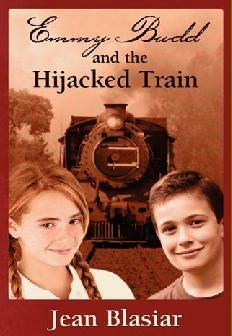 Emmy Budd is a twelve-year old tomboy who finds her match in the new boy in town, T. J. Blake. With no money and lots of time on their hands, Emmy and T. J. ferret out every freebie in town, including sneaking aboard the mail train bound for Pittsburgh and ending up in the middle of a hijacking. Operating under cover, the teen detectives risk their lives as they confront a desperate fugitive.